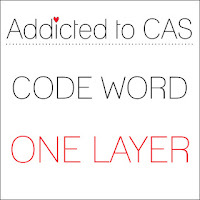 Addicted To CAS #148 is up and running. The challenge is to make a ONE LAYER card and Barb is our hostess. Barb will be sending a crafty gift to the challenge winner. Remember - A 'one layer' card is defined as "A piece of card folded in two. No other layers are allowed". 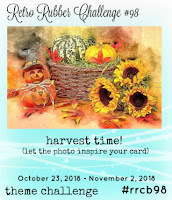 To create my card, I masked a panel on Neenah Solar White 110# cardstock and blended some Distress Oxide inks in fall colors. I stamped a leaf from Paper Smooches Botanicals 2 in VersaFine Vintage Sepia over the inked panel. The heat embossed sentiment is from Jillian Vance Designs Auntum Blessings set. Please head over to the Addicted To CAS blog to see what the Design Team has created for your inspiration and share your one layer wonder in the gallery. Hi Stephanie ~ I love your choice of leaves and how you placed them cascading down your gorgeous masked panel! Flawless ink blending in all those beautiful fall colors, too...Love this card! Gorgeous! Just my kind of design - love that single sponged column, over-stamped like this. Beautiful blending of colour, too. Thank you for playing with us at Retro Rubber Challenge. Beautiful card! One layer cards are the most difficult, especially when you love layers as much as I do! LOL What great Autumn colors you chose!! Thank you for playing with us at Retro Rubber and hope you will join us again soon. You have just done the impossible in my book! 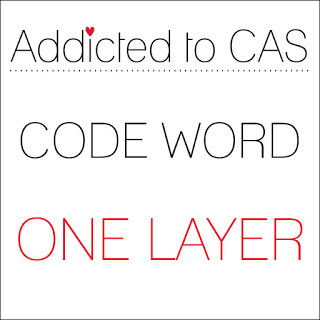 I love CAS, but a true one layer card is so difficult. Your blending of the distress ink is wonderful. Thanks so much for joining us at Little Red Wagon Challenge! I love the gorgeous colors you sponged on the column and how you blended them so beautifully on those pretty leaves. CAS cards are hard to create but one layer.....well, those are on a league of their own. I love your choice of ink colors and how you've blended them so beautifully, Stephanie. Gorgeous clean one-layer card! Wonderful way to add color and interest, who said you have to have lots of layers to make a stunning creation? 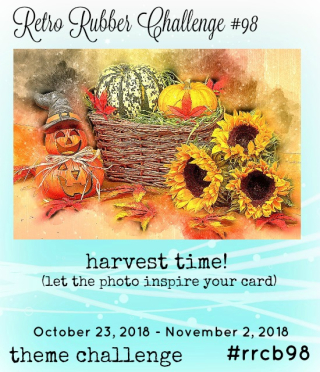 Thanks for playing with our challenge this week! Beautifully done! Love,the colors you used! 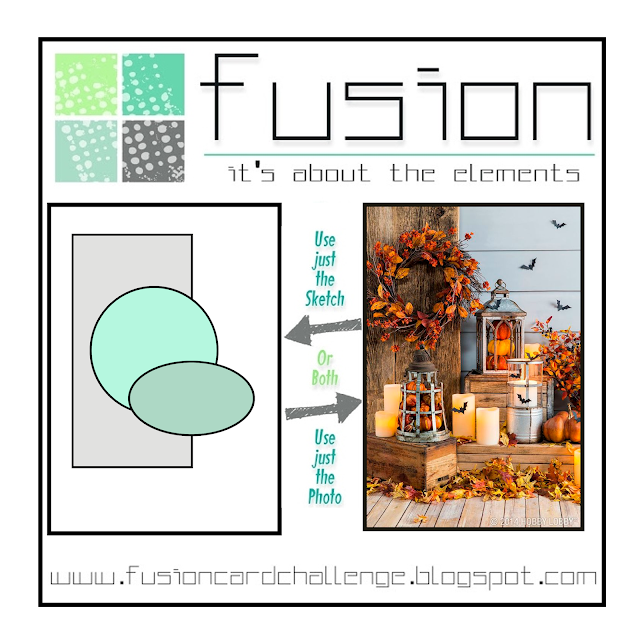 Glad you shared it at Fusion!